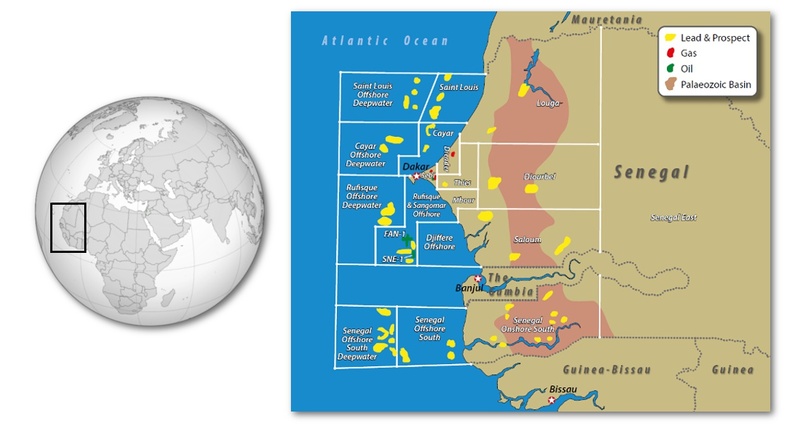 A potted history of oil and gas exploration in Senegal and in the wider Mauritania-Senegal-Gambia-Bissau- Conarky (MSGBC) Basin is one of periods of active exploration, followed by interludes with little or no drilling activity. Throughout the 1950s and ’60s companies such as Société Africaine de Pétroles undertook gravity and magnetic surveys, geological mapping and refraction seismic, culminating in regional drilling programmes. The results delineated the onshore sedimentary basin and provided the first positive indications of a working hydrocarbon system. 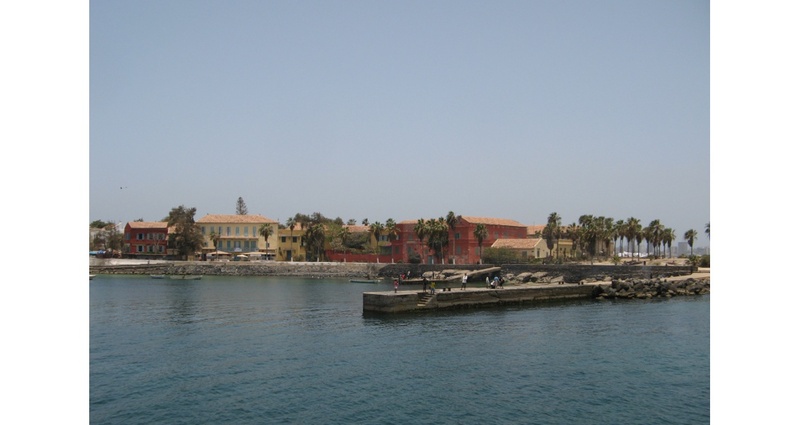 Minor production of both oil and condensates was established on the Dakar peninsula at Diam Niadio and Kabor. Senegal licenses, with fields and prospects. Offshore 2D seismic in the ’60s and ’70s elucidated the classic West African margin geology and encouraged further exploratory drilling. A salt basin with spectacular diapirs in southern Senegal and Guinea Bissau waters was initially targeted. The surprise find was the billion barrel oil accumulation located over Dome Flore in 1967, but unfortunately its shallow depth and proximity to the seabed allowed severe biodegradation with oil gravity of 11° API. The results, disappointing as they were, proved that a rich source was present and had generated significant volumes of oil. Even more enigmatic was the presence of light oil in close proximity to the salt dome – clearly a basin with a complex hydrocarbon plumbing system. The oil industry, in our customary wisdom, decided that there were easier pickings to be had elsewhere in West Africa and exploration was directed at the emerging and ultimately prolific provinces of Gabon, Nigeria, Côte d’Ivoire and Cameroon. In the mid-1980s newly formed Tullow Oil acquired rights to redevelop the modest-sized oil and gas finds on the Dakar peninsula. Some of the old ’60s wells were nurtured back to life, high resolution 2D seismic was shot, new wells were drilled, pipelines were refurbished and an innovative gas storage facility was constructed. This storage facility allowed reservoirs to be produced with a very gentle touch; the gas accumulated in storage during the day could be released rapidly in reasonable volumes to fuel peak-time power generation. Tullow’s personnel were on the ground from well-head to power-station, ensuring a highly efficient gas to power project; quite a few Senegalese power engineers to this day speak English with a lilting Irish accent. It soon became apparent that the limiting factor for these Maastrichtian reservoir accumulations was the particular trap dimensions – small, low amplitude and fault controlled. Deeper wells both onshore and later offshore targeted the older section with some penetrations to the Jurassic. The most recent onshore success is at the Gadiaga complex (1996), developed by Fortesa-Petrosen. The group produces gas at modest volumes from Campanian/Santonian-age reservoirs in a combination trap setting. The way forward for onshore exploration of the Mesozoic requires more focus on stratigraphic trap potential. Given the presence of good Cenomanian-Turonian and possibly Albian source rocks, there is potential for larger volume accumulations – most likely for gas. These will require denser grids of high quality seismic to delineate subtle traps with confidence. Tullow Oil’s 2007 discovery of the Jubilee oilfield in Ghana sparked a scramble for lookalike submarine fans and channel systems along the entire Atlantic margin. First Australian Resources (FAR) held a significant acreage footprint offshore Senegal – with compelling indications of shelf edge and fan features. The acreage proved sufficiently interesting to encourage a new country entry by Cairn Energy and a return to West Africa by Conoco-Phillips. Petrosen, long familiar with this ground, co-ventured with 10% equity. Fortune has favoured the brave. Well FAN-1 (2014) found good quality oil in a large Cretaceous-age fan accumulation. Current estimates of oil volumes in the accumulation are a P50 STOIIP of 950 MMbo. The second well in this consortium’s programme, SNE-1, targeted a prominent shelf-edge structural high with closures defined at Cretaceous and Jurassic level. The well encountered an oil column in Albian clastic reservoirs and resource estimates for SNE are a P50 of 350 MMbo. The old explorer’s maxim springs to mind: it’s all about the source rock, the rest is just detail. These two wells are indeed testament to a rich oil kitchen. The joint venture is now proceeding apace with their appraisal of these discoveries. Whereas the current oil price casts something of a shadow for investment in large scale offshore developments, there is the advantage that appraisal drilling and ancillary services are now less expensive. Oil companies by their nature will be innovative in developing large volume resources in benign operating and fiscal environments. A dynamic energy policy is at the core of Senegalese strategic development and, in conjunction with an enlightened state representative in Petrosen, should underpin an early development of these resources. The nascent hydrocarbon sector in Senegal was blessed from the 1980s with a dedicated professional body – Petrosen. The company is imbued with a strong oil field technical culture and a hands-on attitude to oil and gas projects. The President of Senegal H.E. Macky Sall is himself a petroleum engineer. His appointment of Mamadou Faye as Director General of Petrosen ensured that the tradition of a technically driven organisation familiar with and embracing of industry best practice prevailed. In recognition of the need to encourage exploration, Senegalese Production Sharing Contract terms are considered fair and reasonable by the industry. The Ministry of Energy further complements this with a robust and transparent licensing regime - factors which give confidence to international investors. Senegalese and MSGBC waters remain considerably underexplored. It is worth remembering that Woodside’s Chinguetti field (2001) was the first oil discovery in the whole area between Western Europe and Côte d’Ivoire! The greater MSGBC Basin extends over five countries with an area of about 1,000,000 km2, about 450,000 km2 of which is Senegalese territory. The offshore offers multiple plays, primarily structural and stratigraphic plays in the thick clastic Cretaceous wedge, salt-related plays in the southern basin, and structural plays in the north-south trending Jurassic carbonate platform. The Cairn-led joint-venture has confirmed a prospect-rich shelf and slope setting; the recent Kosmos success with the Tortue well in southern Mauritania proves that this offshore petroleum system is viable over a very wide area. Within the MSGBC there is great scope for exploration in deeper Senegalese and Mauritanian waters and in the virgin acreage of Guinea Bissau and Guinea Conakry. With oil prices temporarily depressed, exploration managers inevitably face a close interrogation when asking their boards to commit funds to exploration. The very positive results, achieved in difficult times in a previously unloved basin, should make that task just a little easier for new projects in the MSGBC. No doubt there is more oil and gas to be found onshore Senegal; the Jurassic carbonate platform remains compelling and untested. Stratigraphic or combination traps in the Cretaceous will be elucidated by high quality 3D seismic. On the basis that ‘old data is old gold’, the results of two stratigraphic test wells drilled more than 50 years ago in the Casamance region also merit a curious eye. Kolda-1 (1955) and Diana Malari-1 (1961) both encountered Silurian black shales with good organic content. The wells also penetrated a thick section of fractured Ordovician sandstone – these could act as good reservoirs. This Palaeozoic sequence outcrops in the Bove Basin, where it is estimated that some 3,500m of alternating sandstone and shale are developed pre-rift, dating back to the Infra-Cambrian in age. The Silurian-Ordovician combination is a prolific producer in the Illizi (Algeria) and Murzuk (Libya) basins and hosts giant oil and gas fields. 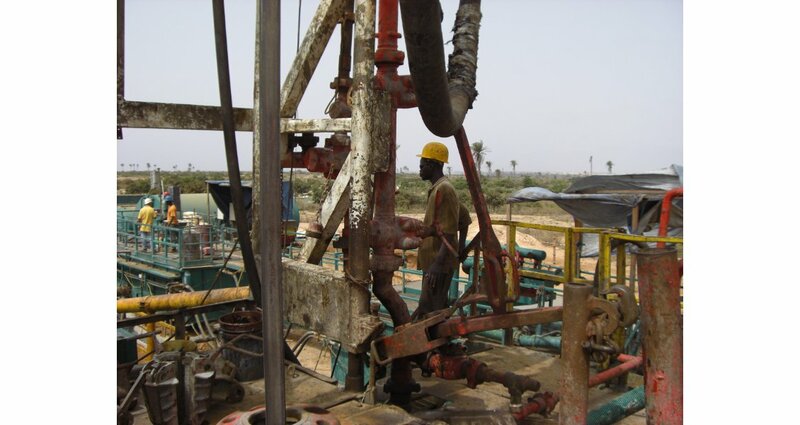 Gravity, magnetic and seismic reprocessing work by Petrosen and T5 Oil and Gas in northern Senegal (Louga Block) indicates a discrete Palaeozoic basin, and the old seismic data also indicates the presence of very large thrust anticlines related to the Hercynian Orogeny. It is worth remembering that in the Klemme et al. classic paper on source rock, it was estimated that some 9% of the world’s hydrocarbons were derived from Silurian-age source rocks. There is credible evidence for an untested Silurian-source Palaeozoic-play at drillable depths onshore Senegal. Most likely this would be gas generative; a TCF-sized find of onshore gas would be transformational for Senegal. is apposite for the slow but steady evolution of hydrocarbon exploration in Senegal. Early efforts provided enough encouragement for further exploration of the onshore and offshore basins. Petrosen quietly but efficiently put the technical and commercial framework in place to encourage investment, and successfully maintained a profile even in lean times. The bigger prize, however, proved frustratingly elusive for decades. And then in 2014 the picture changed dramatically with two major oil finds in the offshore. Considerable potential remains: the offshore may yield additional fan/channel accumulations and the onshore Palaeozoic certainly looks capable of hosting large volumes of hydrocarbons. In the oil patch success tends to breed success. Underlying an area approximately the size of France, the Bakken Formation oil reservoir keeps expanding into what has become North America’s hottest onshore oil play. The future of the Norwegian Continental Shelf to a large degree depends on the discovery of small fields. The Geological Society of Norway has taken the initiative by organizing a conference dealing with the challenges in defining such prospects.